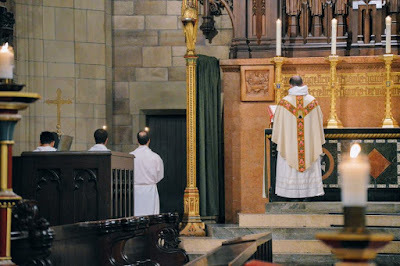 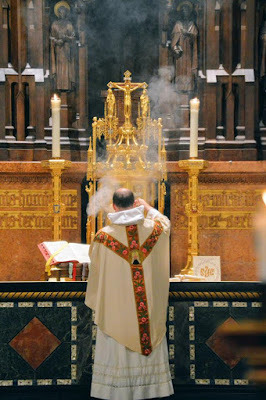 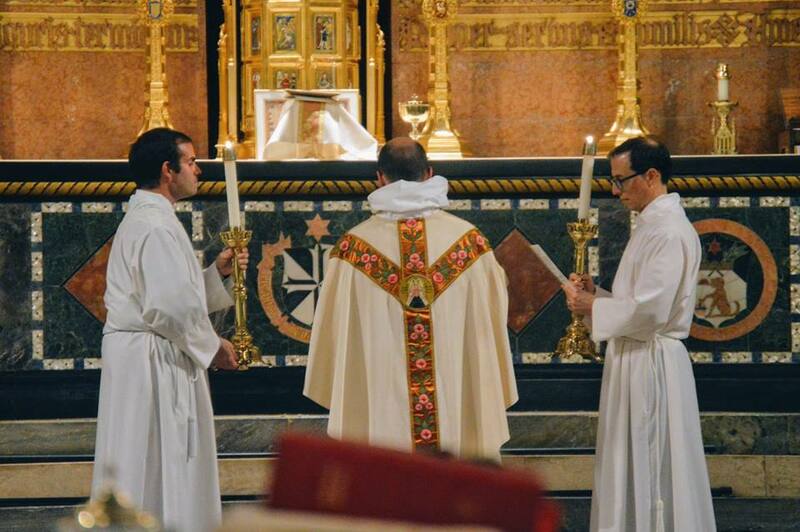 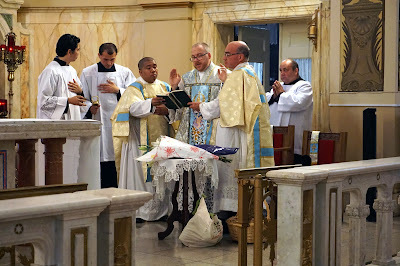 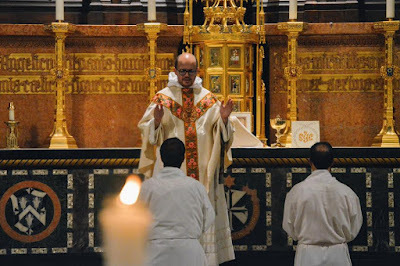 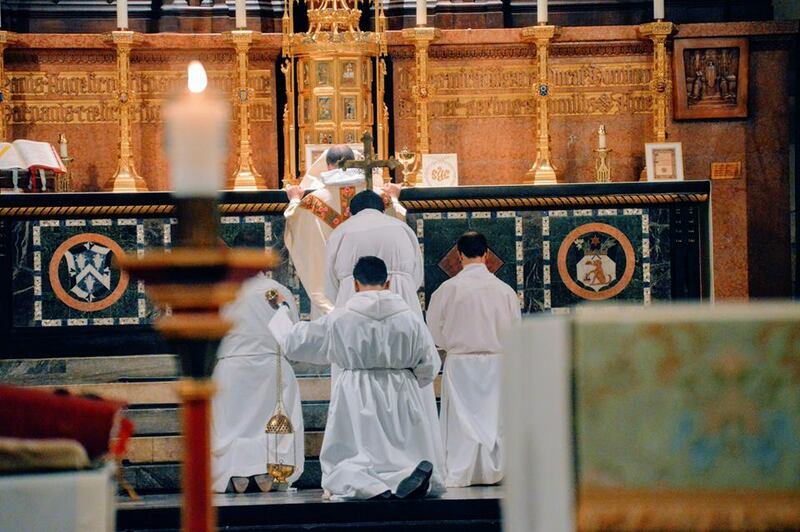 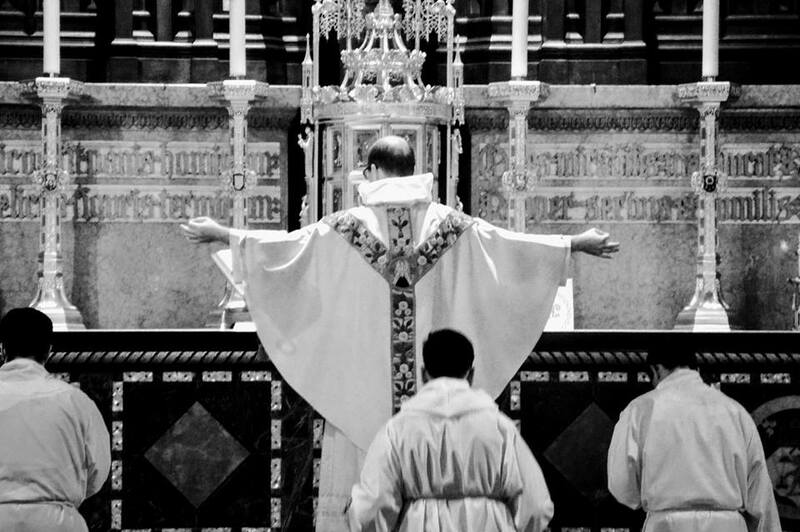 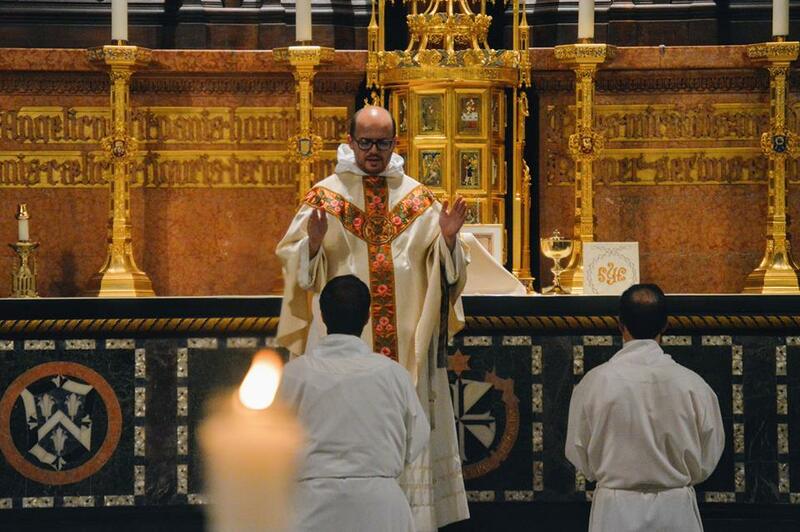 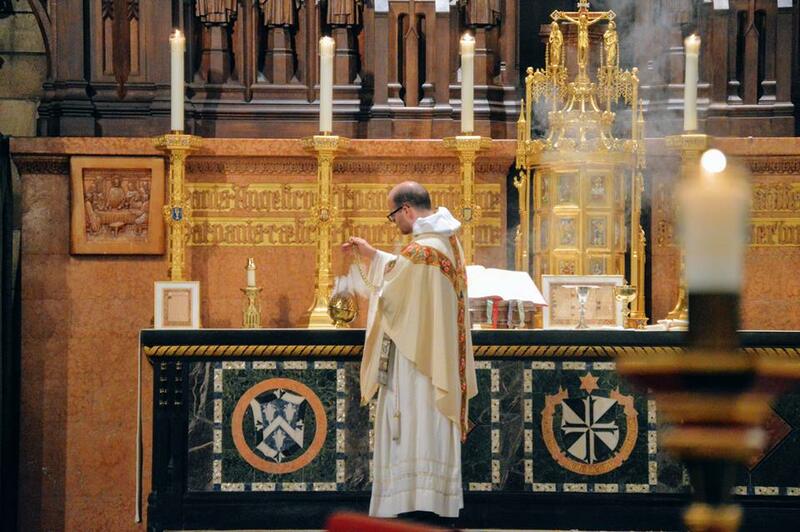 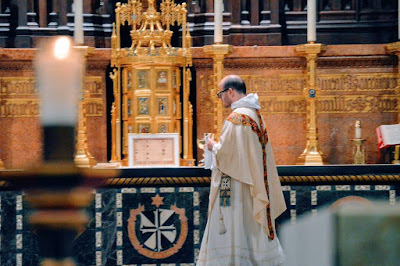 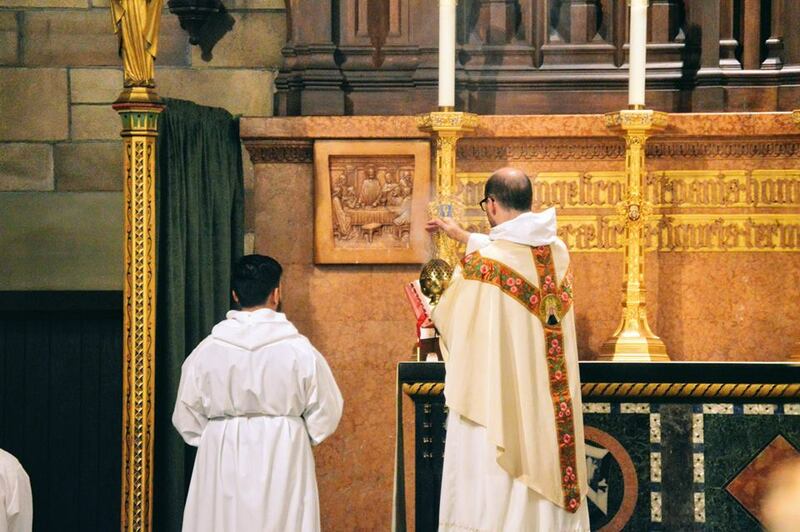 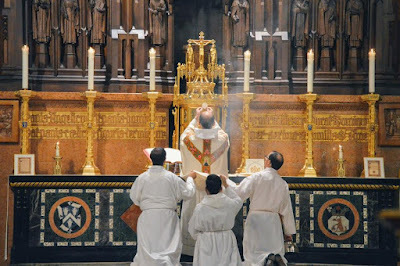 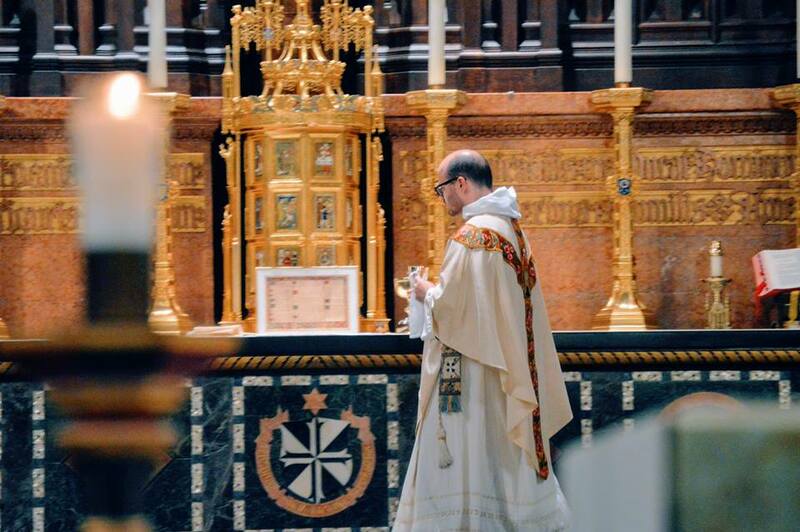 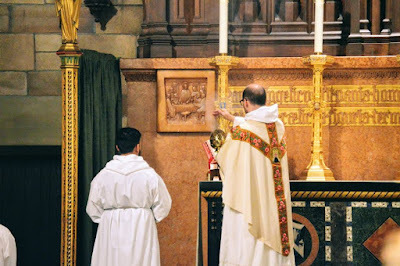 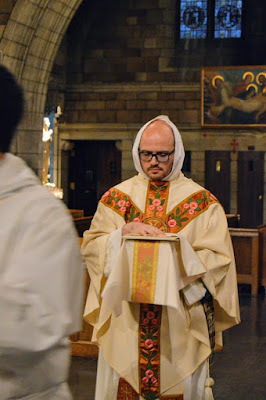 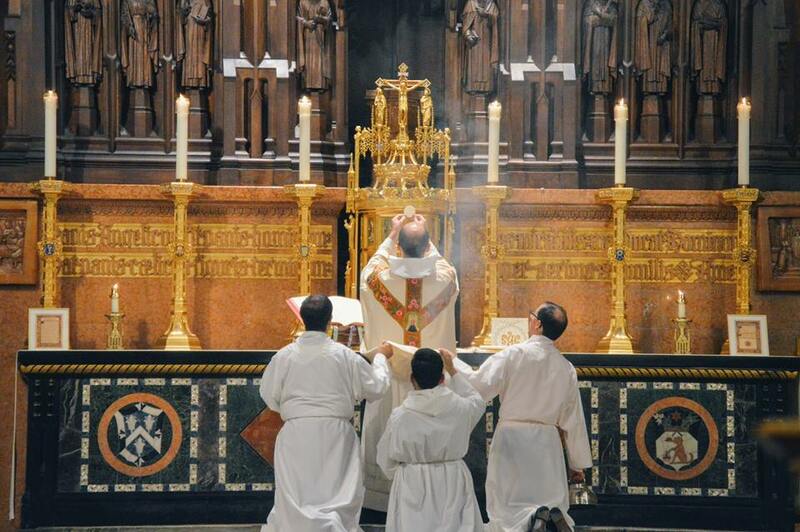 Our thanks to Arrys Ortañez for these photos of a Dominican Rite Missa cantata celebrated on Friday, the feast of the Nativity of the Virgin Mary, by Fr Innocent Smith at the church of St Vincent Ferrer in New York City. 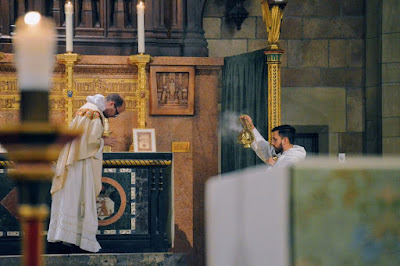 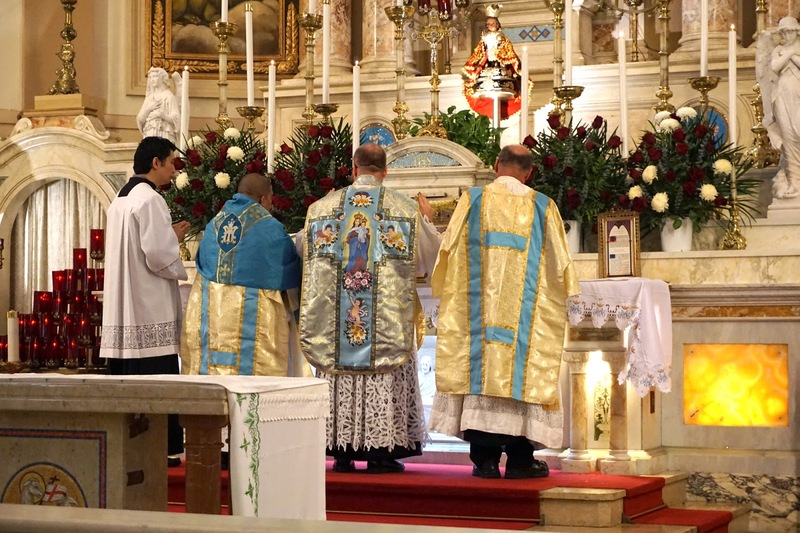 Below them are two photos sent in by Diana Yuan of Solemn Mass for the same feast at Our Lady of Mt Carmel, offered by Fr Stephen Saffron for living and deceased religious; after Mass, there was the traditional blessing of flowers, herbs, and seeds. Preparation of the Chalice, which is done before the Gospel. 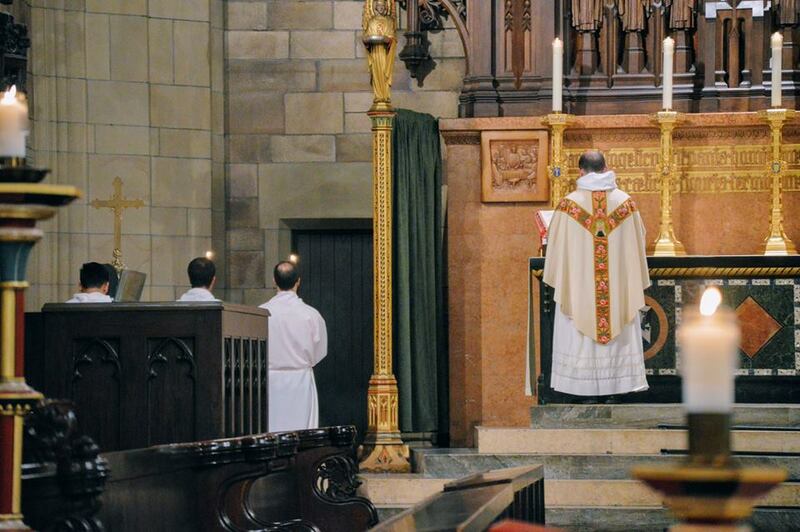 The acolytes stand facing the wall for the Gospel. 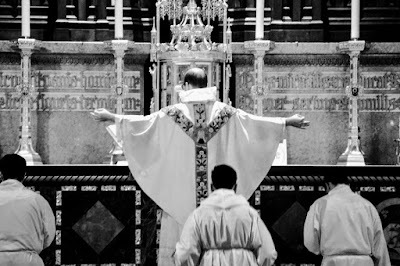 As we have shown many times before, in most medieval Uses, the priest extend his hands in the form of a Cross during the Unde et memores.